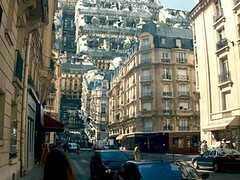 Inception cements Christopher Nolan’s place in the big league of the world’s greatest film-makers. Alas, the DVD does not even give us a Director’s Commentary, a Behind the Scenes or even a detailed interview with the cast and crew – all of which would have provided much juice to our discussions and interpretations about the most discussed film this year. Still, the film demands repeat viewings to be understood completely and that’s perhaps the single reason why you should buy the DVD. Possibly the most discussed and debated films this year, and a clear favourite at the Oscars, Inception arouses a strong urge to get into the mind of Christopher Nolan, in a similar way one wanted to get into the mind of the Wachowski brothers after watching The Matrix. Once inside, you want to ask him a simple question, "How the hell did you think of something like this?" The story is unique and the arguments that Inception puts forward about dreams, reality and the human sub-conscious are almost entirely convincing. Nolan mounts the premise with edge of the seat thrills, gravity defying action and an ensemble of interesting characters, each of whom brings something unique to the table. Inception tells the story of Dobb (Leonardo Di Caprio), a skilled extractor of valuable secrets that dwell in the subconscious of the human brain, who has to finish one last assignment before he can meet his kids. Cobb's technique is called extraction: entering a person's dream, and stealing an existing idea during his vulnerable dream state. His latest assignment however is a challenging one, called inception, where he has to plant an idea, rather than steal it. Dobb is however challenged with his past which he must confront and conquer in his dreams, to be able to pull of this task. Leonardo is convincing as Cobb, as is the team he assembles. Ellen Page, who plays the architect Ariadne, responsible for creating the world of the dream, almost sleeps through her role (no pun intended). Joseph Godron Lewitt plays Arthur, and makes a fine transition from being chocolate boy to Dobb's suave partner in crime. The big surprise is Marion Cotillard, who plays Mal, and is a formidable nemesis to Cobb. She's graceful, her eyes are deceptive and it doesn't take long for you to dislike her character. Tom Hardy, who plays Eames, uses his charisma to good effect, delivering some of the best lines in the film. Hans Zimmer's soundtrack is responsible in a big way for maintaining the constant state of tension throughout the film. There's fear, desperation, doom, helplessness, exhilaration, satisfaction - only a genius can induce such versatility in a common theme through music. In its conclusion, Nolan ties up all loose ends, not that there are many, since the narration is linear, devoid of too many flashbacks or experimental jumps in the screenplay. He also takes great care in simplifying the idea of inception for the layman. Cobb's explanation of dreams and architecture to Ariadne is spectacular, clearly one of the visual highpoints of the film. In Cobb’s references to ideas and their significance of them, Nolan touches upon a bigger issue - the theft of an idea, an intellectual property over which humans are yet to exercise their copyrights. Some say that geeks will eventually rule the world. My feeling is that only the geek with the right firewalls to his brain will. Why, another film that released this year,The Social Network is about a lawsuit over the theft of an idea. Inception also made me ponder over why human beings change their mind, after having decided on something. Why is it, that when presented with an idea that’s immediately not acceptable, do we say, “It’s okay. Let’s sleep it over.” What exactly happens in our sleep, that has the potential to change the way we feel about something, the morning after? And if not, what helps us keep our first impressions intact? Inception is a significant film in Nolan's career, as he proves that acclaim for The Dark Knight was no flash in the pan. With this film, he has cemented his place alongside the likes of Spielberg, Cameron, Scorcese. The fact that he's much younger than each of them gives cinegoers a great future to look forward to. One of reasons I was keenly looking forward to the DVD of this film, was to hear Nolan's thought process while shaping the story, converting it into the film, and convincing the folks at Warner Bros. to back it. Unfortunately, the DVD, despite being a two-disc set, does not give me any answers. The special features on the additional disc, do not have a "Behind the Scenes" either. There is not even a detailed interview with the film-maker, cast and crew, reactions from the producers as to what they thought when they heard the film's story for the first time. Fans of Nolan would have clearly wanted to see much more of him. Inception certainly commands at least a second viewing. I've seen it thrice, and I've been able to spot something new in each of those occasions. In its first viewing, the film seemed to be a story about a mind-heist, that introduced a rather radical but believable invasion of dreams. The second viewing, made it seem more to be a story about a man’s struggle to get back home to his kids. The third viewing (which happened on DVD), convinced me that security of our subconscious may not be such a radical concept after all. But what worried me more, was the realisation, that in each viewing, we’re cheering for inception, a robbery, which Cobb says “is not strictly speaking, legal”. Yay! Thumbs Up, by vanita singh : Excellent movie.A must watch for science fiction lovers. @Sagar oh wow! that's an opinion i didn't see coming. @Danish uhhh you should seriously consider watching the film again. the totem is the only thing they could use to verify whether they were in a dream or reality. they couldn't afford anyone tampering with it. Pakistani music has given this movie a Yay! Thumbs Up(Mind game illustration). Pakistani music has posted 2 comments and has rated 2 movies. See Pakistani music's page for more details. I loved this movie.I jus want to know that di caprio is dreaming in the end or is he in the real world? 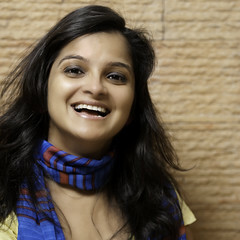 vanita singh has given this movie a Yay! Thumbs Up(Excellent movie.A must watch for science fiction lovers.). vanita singh has posted 1 comments and has rated 1 movies. See vanita singh's page for more details.